[prMac.com] Vilnius, Lithuania - Happymagenta offers its powered by augmented reality GPS navigation toolkit Spyglass for 50% off during a special weekend sale from 22nd through 31st of January. Spyglass is great for hunters, boaters, hikers, explorers, travelers, teachers, students, all outdoor enthusiasts, professionals and engineers. 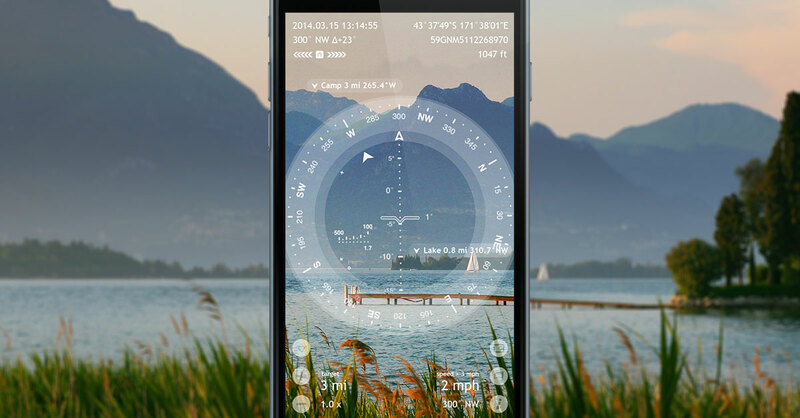 Accuracy improvement techniques, special compass modes and calibration methods available in Spyglass only make it a real instrument - the most advanced and accurate digital compass. Spyglass operates in 3D and uses augmented reality to show real-time object positions, info and directions to them overlaid over camera or maps. Save current position, add points from maps, manually enter location coordinates and bearings, add stars by hand or use a built-in star catalogue. Find saved places and objects later simply by following directional arrows. Spyglass tracks multiple targets simultaneously and shows their info - distance, direction, azimuth, elevation and estimated time of arrival. Copy, paste and share locations, coordinates and map links using many supported formats. Find out heights of objects and distances to them - measure visually and calculate dimensions and distances.